Hi there! 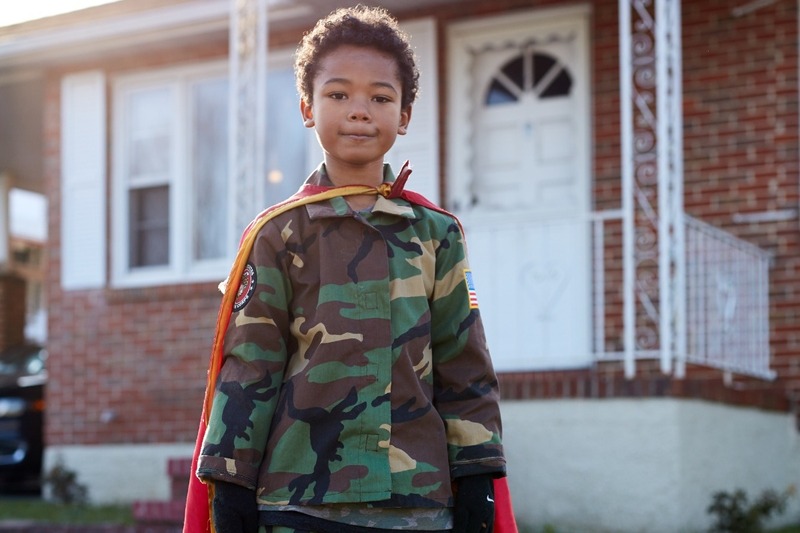 My name is Tyler and I am a 7-year-old kidpreneur and co-creator of Give Back to Veterans. My dad, uncle, grandfather and lots of people I know are veterans. I wanted to do something nice for as many veterans in need as I could because they deserve it! Doing something special for veterans began after I started asking my mom why some veterans are homeless. After talking to my mom, I really wanted to help build homes for veterans but together we decided on a more realistic goal. 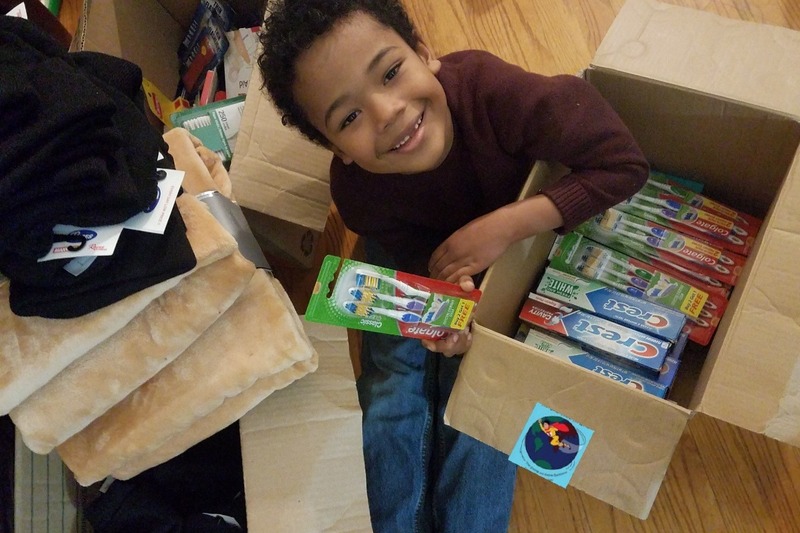 We came up with an idea to make hygiene and grooming kits with thank you cards to give to veterans in need. I call them Hero Bags! I first started this project when I was only 5-years-old. 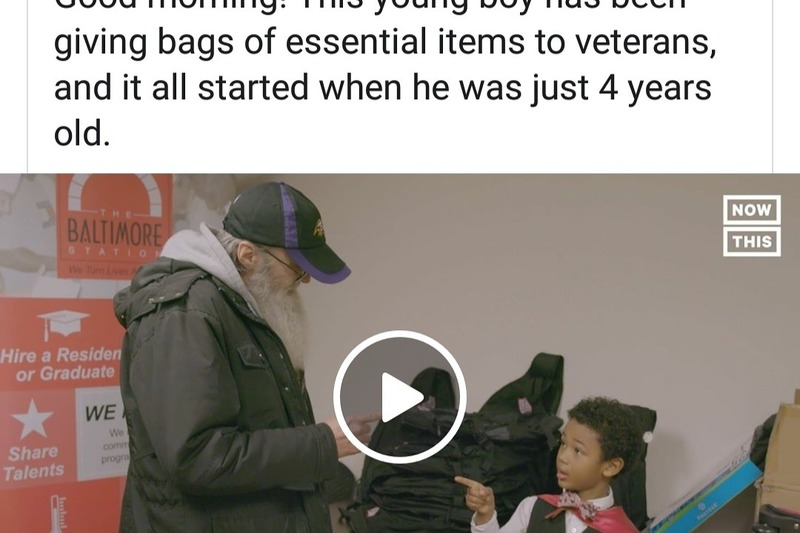 Since then, we’ve raised over $5,000, which has helped me hand out over 2,000 Hero Bags and buy some wishlist items submitted by shelters who help the local veterans. 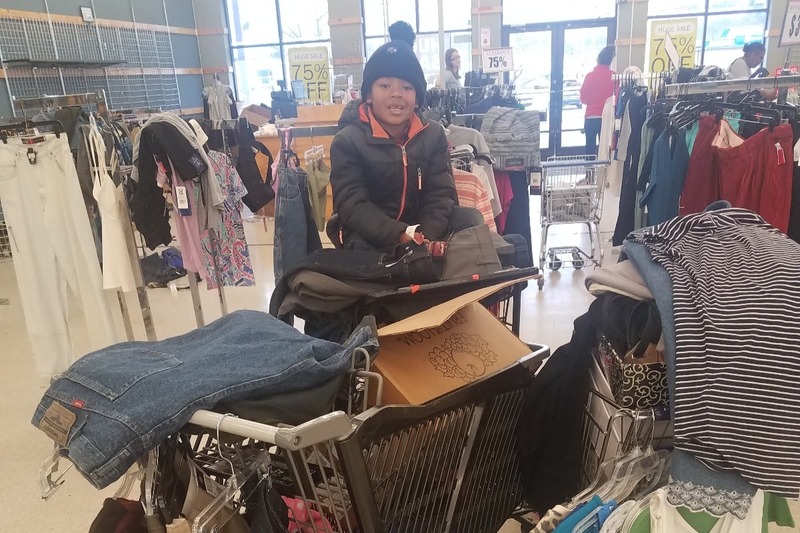 During the winter, we also make sure to stock up on warm gear like coats and blankets to deliver to shelters and people living on the streets. Over the last few years of my project, I’ve won some really cool awards and have gotten to work with awesome companies like Leesa Mattress who helped me donate over 250 mattresses to a homeless shelter. I even received the Humanitarian Award from Mr. Steve Harvey on Little Big Shots . This man is one of the people I have helped. He is a senior citizen who served in Vietnam. 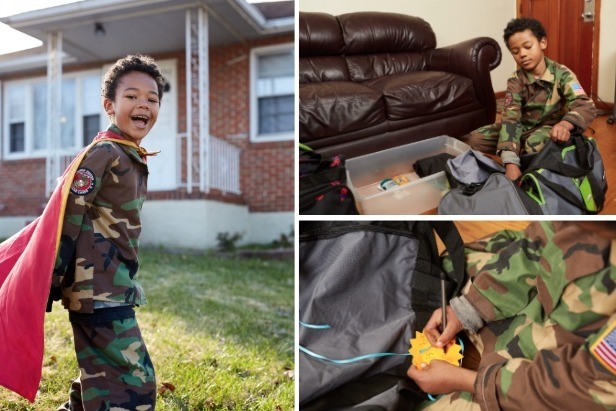 Veterans like him often need everything from food and clothing to bus passes. We also deliver items to elderly veterans in their homes and help with a variety of personal emergencies. 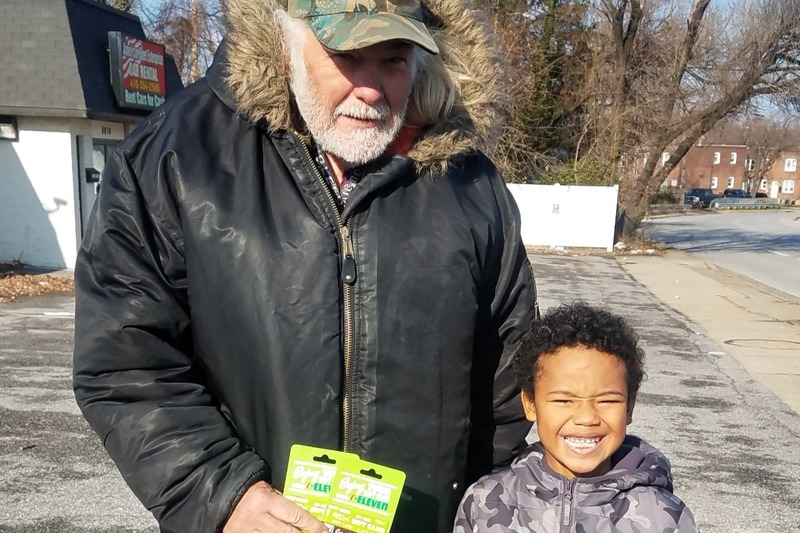 The veterans appreciate gift cards, food, clothing, toiletries, and even essentials like socks and underwear. 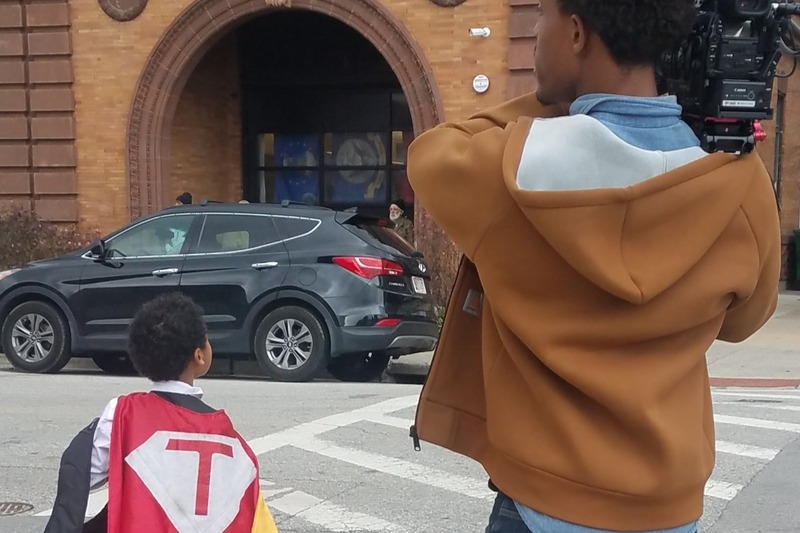 This holiday season, I’m teaming up with a new shelter called Baltimore Station. I want to thank all 90 veterans that live in this shelter for their service and give them a Christmas they’ll never forget. I’m hoping to raise $3,600 so that I can give each of them a Hero Bag for Christmas! Since I don't run a nonprofit with my mom yet, I could use help from caring people like you to make that happen too. 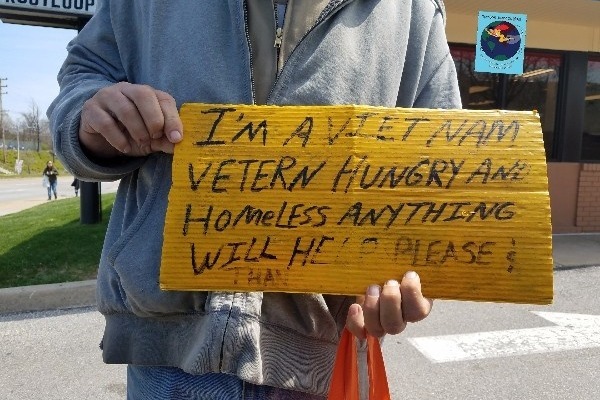 My main focus right now is homeless veterans, but I also want to help other homeless people. When I get this project going and get a nonprofit, I can do both. We’ll need at least $3,000 to submit our 501(c)(3) application and pay the legal fees that go along with it. Thank you so much for your support. I appreciate your interest in my desire to help veterans in Maryland, the District of Columbia and Virginia! My mom will post campaign updates for me and will be managing the money raised for me. I am only 7 after all! Please send her a Facebook message if you would like to collect hygiene products in your office or church in Maryland, D.C. or Virginia to help with my project. I wanted to stop by to let you know how things are going. Thank you so much for everything that you are helping to do! 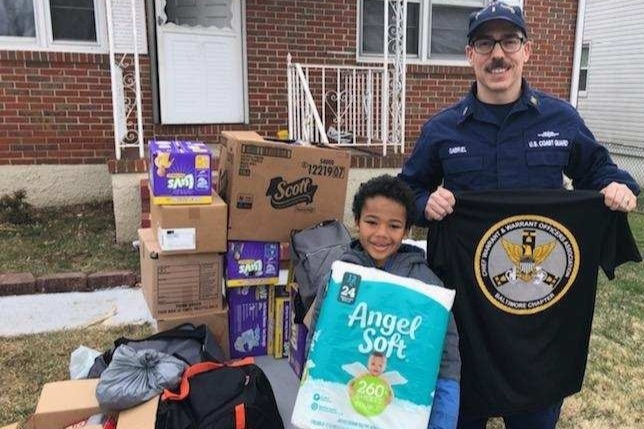 This project assisted Coast Guard families, by providing gas cards, diapers, clothing, Hero Bags and more. 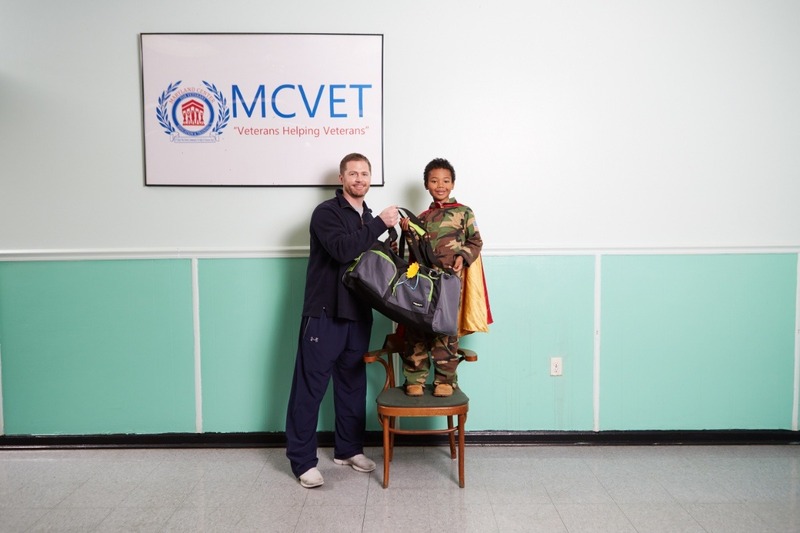 MCVET's homeless veterans were happy to get more toiletries, clothing, hats, and essential items. I will return to make a second delivery with more needed clothes. I was able to buy many shoes and boxes of new jeans, because a store was closing. 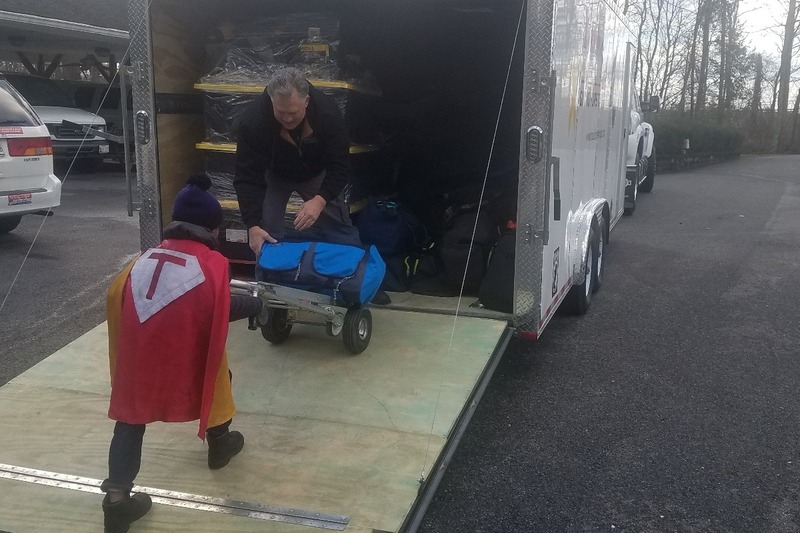 I also delivered Hero Bags, coats and blankets to Truckin4Troops to add to a delivery of furniture that was headed to South Carolina for veterans and military families in need. In the second photo, I am helping to load the items with the nonprofit's founder. This was the first time the bags were distributed beyond Maryland, DC, or Virginia! Food help is still being provided, too. None of this would be possible without your help. I am very grateful. Please continue to follow my Facebook page @kidtimeenterprises to follow the journey. Hello, everyone! I was surprised to get more donations. I appreciate them all so much! Getting support like this took three years. Thank you for everything. 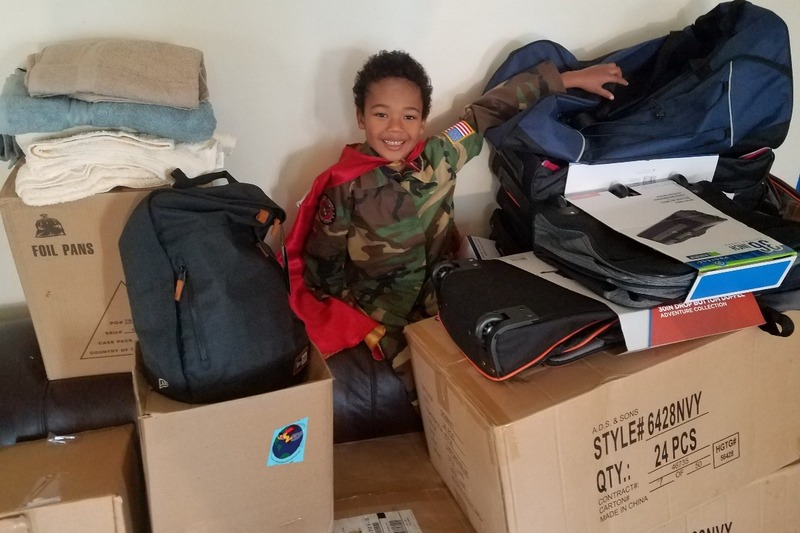 With your help, I supported wounded warriors this week, and I am packing bags to help veterans who lost items in Hurricane Florence. MCVET needs toiletries and hats, so I am packing these supplies to deliver to the veteran shelter. Coast Guard Chief Warrant and Warrant Officer Association. So many people need help right now. Thank you for helping me to keep this momentum going. Mom is taking care of saving something to pay to set up the nonprofit. Plus, the veteran giving tour was very expensive, so most of the previously raised money was almost gone. I just wanted to let you know the status of this project, so you understand what you are helping to do, even after the tour. I am still on a mission to give back to heroes. Hello, everyone! I want to share a story link about a holiday tour stop. This story is about what I do, and what I was able to do at The Baltimore Station, before and after Christmas. Thank you for making this all possible! I still have work to do to help more veterans, military families, and homeless heroes who need supplies. Please keep spreading the word. I am making more stops soon, and I have families that need help. Hello, everyone! I just wanted to give a quick update. I've been delivering food cards to a veteran on the street. He can get food this way, whenever he needs a meal. 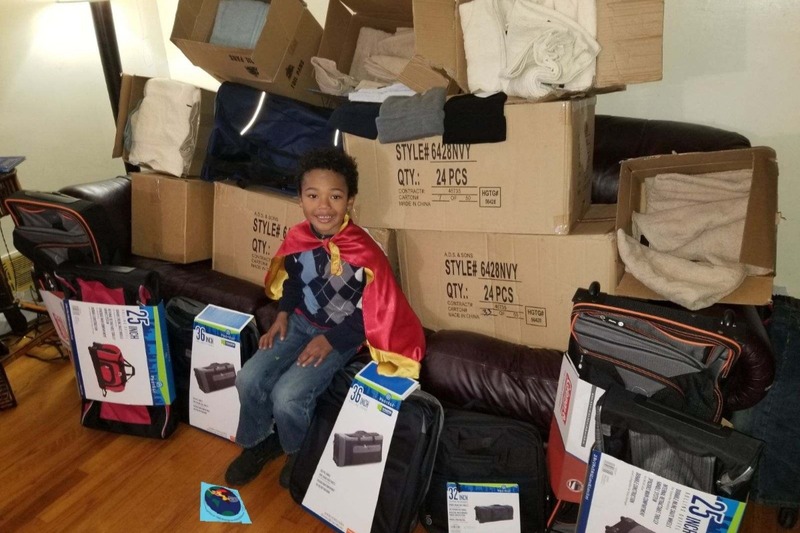 I also am excited about delivering 79 more Hero Bags and needed towels to Baltimore Station. This will be the second half of the superhero tour delivery that began before Christmas. I've been able to buy more veterans thank you gifts along the way. This giving tour has been extra amazing, because your support . I may have an opportunity to collect for another place where veterans could use items, too. Then, mom and I can work on nonprofit needs and keeping everything going. Your support is making a big difference. Thank you so much! We appreciate every donation. The items will be distributed before Easter. Thank you all! One small child accomplishes so much good, blessing to the family and all the veterans! You go kiddo and mom! Great cause and great young man!! I saw Tyler interviewed during the Orioles' game and was truly touched by the compassion and selflessness of this amazing 7 year old. I also believe in the importance of giving back to US veterans after they gave and gave up so much for our country. I'm a veteran myself and I like this young man's initiative and heart.